Are you a pizza lover? You've got to try Sal's Pizza if you haven't already! Burritos, Chimichangas, Quesadillas, Nachos, Tacos—You name it, we got it! Looking for a caterer for next event? Look no further. We do that too. 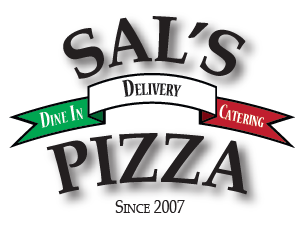 Sal's Pizza is a family owned and operated business, located in Waukesha, that was started in 2007. Our specialty is pizza but we offer much more! For your convenience we offer dine-in, *delivery and catering. Love Sal’s! Very Good food. Highly recommend for catering. Absolute best pizza in Waukesha! Love the pasta as well. The sauce is out of this world!